In a bizarre turn of gaming déjà vu, we’re right back at our February issue with a review of a game that we covered in… our February issue 2010. Mass Effect 2 (which won our game of the year and RPG of the year for 2010) is now happily running on the Playstation 3, with a boatload of recompiled extras. It’s time to dig in and see if the game was worth the wait for people that didn’t play it on the PC or the Xbox 360 when it came out a year earlier. 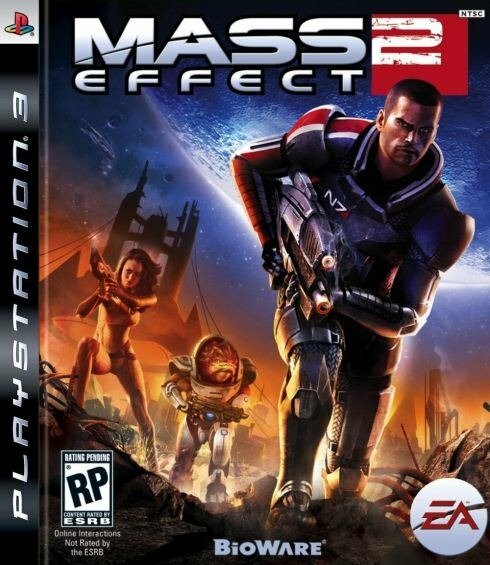 The story of Mass Effect 2 is a long, intricate affair that is further complicated by the fact that its details change based on the player’s decisions in the original Mass Effect, or in the case of PS3 owners, the decisions made with the included Mass Effect digital comic that acts as a stand in. The gist of it however, is that Shephard, the hero/ine of the first game is once again called on to save the galaxy after an accident that puts him/her out of commission for two years. Over the course of the new adventure new companions are met, old companions are revisited, and all manner of drama ensues as a band of soldiers is put together for what amounts to a suicide mission. It’s hard to talk much more about it without spoiling the story, which is pretty much the highlight of the game. Moving over into the area of presentation, one hot potato that has been much discussed are the graphics. There were claims that ME2 on the PS3 was going to be the definitive version, but in the end, it looks like a high-end PC is still the way to go for people demanding the highest visual fidelity. The PS3 manages to represent itself well with a level of quality that is similar to the 360 version, but it only performs better in some areas, such as sharper textures, while actually showing deficiencies in other areas, such as nuances of lighting. In the end, the game doesn’t look better or worse than the 360 version, merely different, which, at the very least, means that players aren’t subjected to the same noticeable downgrade as happened in Bayonetta. The audio is up to an extremely high standard of quality with strong voice acting, atmospheric music, and some very impressive audio processing for good use of directional sound and subtle touches like the echo effect of night club music booming and changing its texture as doors open and you move closer in. Unfortunately, one major blemish on the audio is the occasional lag between sound and visuals, but only in cut-scenes. During review we encountered three separate instances where the audio in cut-scenes came in a half-second late making for some awkward moments in fighting sequences where gunshots would be heard after they’d been fired. Aside from that, this is one of the best audio presentations on the PS3 all around with strong acting, music and texture. This is still Mass Effect 2 as played on the PC and Xbox 360, just with crammed onto one Blu-Ray disc with all the major add-on content. Smaller DLC such as extra weapons and palette swaps for team mates are still sold separately. The game itself has undergone some dramatic changes from the original Mass Effect with the RPG elements streamlined, and the story focusing more the trials and tribulations of Shepard and his/her companions rather than the elaborate world building of the original. This time the stage is set and the focus is firmly on the action. Shooting mechanics are improved from the first with tighter, more responsive controls, levelling is now focused on modifications to existing weapons and armor, with a small suite of personal skills to choose from. This was a point of contention for RPG purists who found it too simplified for their tastes, but it makes the game fast and more accessible. The free form exploration of the Mako that was the bane of many players has now been replaced with planet scanning, which while less elaborate in process, can still feel tedious for action oriented players. 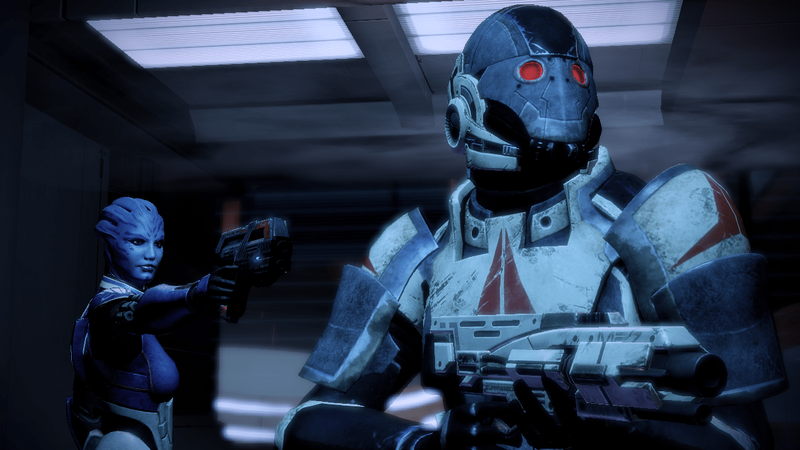 Surprisingly, Mass Effect in some ways has its closest parallel in Borderlands. Both games seek to combine elements of the shooter and the RPG, but with a different focus. Borderlands was indisputably a shooter, with little emphasis on story or character, using light RPG elements to add depth to its gameplay. Mass Effect 2 is firmly an RPG with story and character development as its focus, supplemented by pared down RPG mechanics to keep the story moving forward. The feel of the shooting mechanics here is still not as refined as the best shooters, like Gears of War or Uncharted 2, but it works beautifully to propel players into one of the most developed settings, well told plots and fully realized characters in contemporary gaming. Of course the biggest feature, and one few other games replicate successfully, is that of the enormous amount of choice. From determining the outcome of encounters to choosing who lives and dies, player choice has enormous consequence in the game. And it is also here that the PS3 version stutters somewhat in comparison to earlier versions. While the digital comic does a good job of bringing players up to speed on the events in ME1 with a quick summary, the little nuances such as small interactions with minor characters Shepard may or may not have helped in the first game—like Conrad Verner—is absent here for obvious reasons. It’s a trifling point, but for people that place absolute, paramount importance on the narrative experience, a little bit of that is lost without access to a genuine Mass Effect save file to import. Minor narrative quibble aside, Mass Effect 2 is a monumental achievement that manages to juggle action, adventure, character development and great storytelling in one amazing package. If you own the PC or 360 version with all the DLC, there’s little reason to get on board this game. But for PS3 owners unfamiliar with the franchise, you absolutely need to go out and get this game. This is one of those rare titles that ups the ante for the rest of the industry and provides an experience that is intelligent, interactive, exciting and emotional all at the same time. This is still Mass Effect 2 as played on the PC and Xbox 360, just with crammed onto one Blu-Ray disc with all the major add-on content.